Combine all the ingredients in a blender until smooth. Adjust the consistency of the smoothie by adding water. 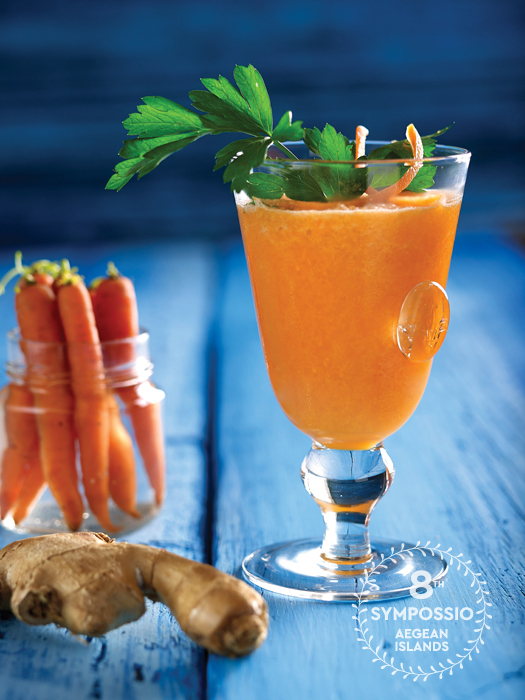 Serve in a Collins glass and garnish with a spring of coriander.